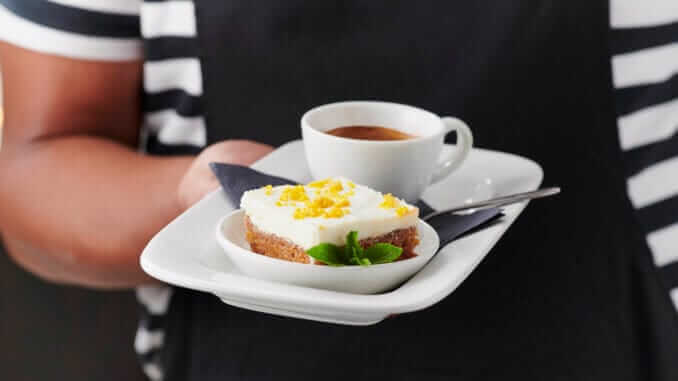 Pizza Express have launched a Dolcetti vegan carrot cake for their new autumn menu, in time to celebrate Macmillan Cancer Support’s World’s Biggest Coffee Morning, this Friday 28th September. The World’s Biggest Coffee Morning is a nationwide fundraising event for cancer care organized by Macmillan. As part of the celebration, Pizza Express has added a special vegan addition to their dessert menu. The Dolcetti vegan carrot cake is a moist, rich and dairy-free carrot finished with a rich and creamy icing. Macmillan’s popular coffee morning event brings communities and friends together to raise money for their cause, and any member of the public is able to host their own events at their local PizzaExpress. The vegan Dolcetti Carrot Cake will be served with a choice of coffee or tea, with soya milk on request, and will be available in all restaurants from £4.95. Visit www.pizzaexpress.com/ for more information.